The term “Digital Nomad” can seem a little strange for those who have never heard it before. But don’t let its peculiar sound deter you. Rather than a job title, a digital nomad is a lifestyle. To be exact, a digital nomad is an individual who leverages technology to be able to work from anywhere in the world that has an internet connection. The job titles that a digital nomad may have varies from selling t-shirts to building marketing campaigns. To become a digital nomad, you first have to ask yourself a few questions. What do people need or want? There isn’t a specific set of skills needed to become a digital nomad. Instead, you need to be good at what you do and be good at selling your services/product online. Once you have an idea of the path you want to take, the first step is researching specific fields, websites, and programs within your focus that could help you specialize your skills and give you a leg up on the competition. Next step–you guessed it, it is time to learn! 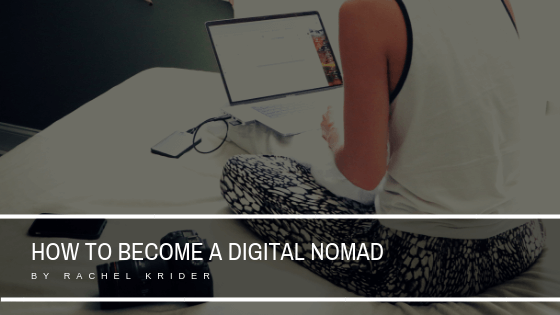 Step number three to becoming a digital nomad is just as significant as step one and two and is only listed so far down to help with time management. Step three involves the management of funds, or more specifically the reduction of debt and expenses and the increase in income. It is nearly impossible to survive the burden of debt with a remote job earning passive income while traveling. Throughout building and developing skill sets, pay off credit cards and loans, starting with the highest interest. At the same time, it is important to plan where your income will come from while out on the road. Nothing says you should’ve been prepared more than being stranded in a foreign country with no job or backup funds. The last step before taking the plunge is choosing your location destination(s). There are many different resources to help you determine the best location for your work, many of which were created by or for digital nomads, such as NomadList.com. Determine what you want out of your traveling and new found lifestyle, and use those criteria to help make the best choice for you.